Deborah Tavares talks about your rights regarding Smart Meters! How to remove and how to OPT OUT! The electric companies will tell you it’s “safe”. They will deploy them without your knowledge. They look like this, check your home and see if you already have a SMART METER INSTALLED. If it looks like this photo, you are one of the unlucky residents who has already had the Smart Meter installed . 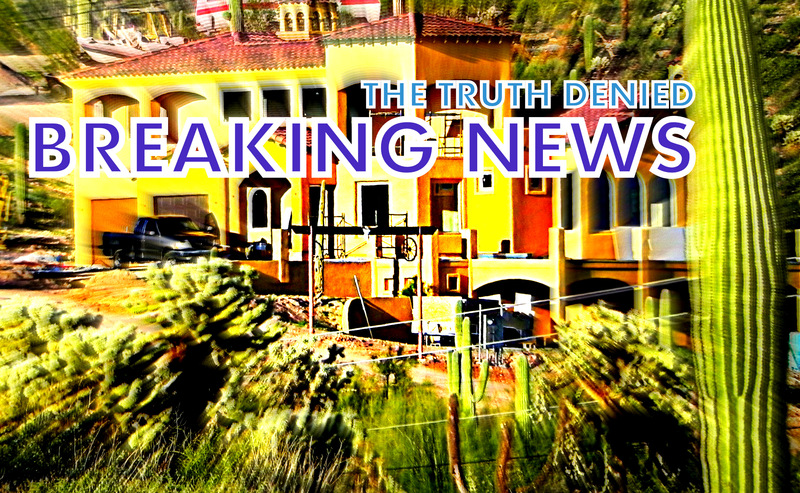 The Truth Denied Talk Radio Interviews Deborah Tavares! This is eye opening!!! Please listen to the show here because Deborah Tavares offers not only the facts and the experince, but hope and remedies for the public. The Real Goods store, located in Northern California, has analog meters for sale, at a reasonable $49 each ($7.95 shipping). You can order one by calling them at (707) 472-2407. Please see the comments on the site, there are many residents who successfully removed there smart meters with no problems whatsoever! VIDEO on HOW TO REMOVE your SMART METER! I too called the electric company in Southern Arizona, and opted out of the smart meter installation, and I requested it just in time! They are deploying them in my neighborhood this week! They said they would send me a notice as to how they will handle my current “OPT OUT” once they (APS) clear it with the Arizona State Utility Commissions http://www.azcc.gov/Divisions/Utilities/ I imagine it means what the resident above had stated, they charged him $75.00 to opt out. 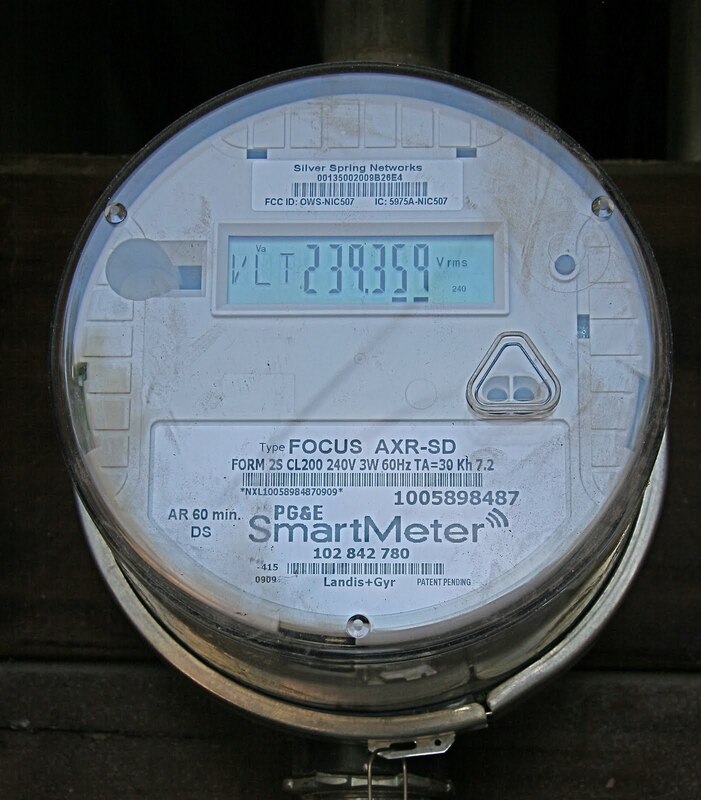 Want to help stop neighbors from not opting out of the smart meter? Create awareness! Deborah has flyers and signs! It’s important to get all of your neighbors to opt out as well! The RF signal travels roughly 1000 feet from the meter, so we suggest that you get everyone within 1000 feet of your home to opt out as well. NEED HELP WITH FLYERS? Deborah Tavares has them for you at no cost whatsoever! More help and contacts for you, KNOW YOUR RIGHTS! Roxy, I have begun to listen to your show often, but I cannot listen to that Anthony guy any more. He had no information and interrupted all of the time, taking up valuable time promoting himself and his films while insulting you and the other guest by calling you “girls” repeatedly and insinuating that the only reason you have a voice is because of your looks. He was terrible and I will have to stop listening if you can not find anyone better to listen to than this ill mannered and insulting fearaholic. Oakelyanne, He was not on the show of this thread, but yes I as a host and researcher feel the same way, and the consequences of his behavior are that he will not be returning to the show. I do not conduct interviews like this, as a matter of fact, out of 78 shows in the past year, I have never had such a disrespectful guest as he. BTW, you are not alone, the flood of emails proved as you stated and more.Thank you for your support and for taking the time to comment. THIS IS A CRIME : Want to help stop neighbors from not opting out of the smart meter? Create awareness! Deborah has flyers and signs! It’s important to get all of your neighbors to opt out as well! The RF signal travels roughly 1000 feet from the meter, so we suggest that you get everyone within 1000 feet of your home to opt out as well. On August 4 I “opted” out the day they installed the Meter. The Electric company came right away. Since then everyone in our complex wants to “opt”, but now all of a sudden the company is making excuses as not to come out. why? What is the product to install in our homes that “block” from our neighbors that do have it? Also, where do you purchase it? Thanx. My name is Brian Glasser I am the Host of Nashvilles “Home Improvement Hotline” on 1510 WLAC ClearChannel. I would like you to be on my show to discuss the “Smart Meter” it is a concern in the Nashville area and we need you to educate our listeners. Would you be interested? My names Regina and I’m 25 years old. I want to join your cause. I have done extensivecreseach on everything going on and I want to help spread the word and maintain human rights while it still exsists. The mass reasearch and knowledge I’ve obtained has consumed me and I struggle everyday knowing what is in our near future. Most conditioned minds think I’m delusional. However, I’m seeking someone who can help me on this journey. This was the only way I was able to reach out to you. I beleive time is running out and not only do I seek safety and refugee but Id like to take my knowledge on a much greater scale. Please, please if you read this and have a moment email me as a believer and as a activist who seeks support and safety from whats to come. left of me to stalk me. They rented the garage from Mr. Kunal Prashar. the back wall of there house almost positioned where it can’t be seen. local doctors only to be told it was very healthy and strong. all hacked. Had my phone checked and it is bugged aswell. Thank you Melanie for providing us with your story, and as you can see from this thread of conversation, it seems it is happening everywhere, problem is we don’t understand exactly why. We applaud your ability to do the research to protect you and your family. Please feel free to contact us anytime. THE “NASA WAR DOCUMENT HOAX” EXPLAINED!!!!!!!!!!!!!!!!!!!!!!!!!!!!!!!!!!!!!!!!!!! The promoter falsely claims that the “NASA War Document” is a “secret” government document discovered and downloaded (or “leaked”) from a “NASA website” which she claims proves that NASA and/or the United States government intend to develop (or are currently developing) and intend to use (or are currently using) terrifying, horrific, futuristic, high-tech weapons AGAINST the American people. But, these claims are not so. The “NASA War Document” is NOT what promoter claims it is, was NEVER on a NASA website, was NEVER “secret”, does NOT reflect existing or future high-tech weapons that NASA and/or the United States government intend to use (or are currently using) AGAINST the American People and does NOT reflect that NASA and/or the American government intend to kill all of the American people. Instead, what the promoter calls the “NASA War Document” is simply her “MODIFIED” version of a PDF reflecting a 2001 power point slide show presentation (WITHOUT THE ACCOMPANYING ORAL COMMENTARY THAT EXPLAINED IT). The power point slide show presentation was created by a NASA scientist for his presentation AT A 2001 CONVENTION OF MILITARY CONTRACTORS THAT WERE IN THE BUSINESS OF DEVELOPING COUNTERMEASURES TO POTENTIAL, FUTURE, HIGH-TECH WEAPONS THAT OTHER NATIONS COULD POSSIBLY DEVELOP TO USE AGAINST THE AMERICAN PEOPLE OVER THE NEXT 25 YEARS. The purpose of the power point slide show presentation was to introduce the thousands of representatives of the military contractors in attendance to potential, theoretical, future, high-tech weapons (AS DEPICTED IN THE PRESENTATION) AND TO ENCOURAGE THOSE IN ATTENDANCE TO DEVELOP COUNTERMEASURES AGAINST THEM (before those potential, future weapons became operational). Nowhere in the subject original document does it imply, suggest or state that NASA itself or that the United States Government were developing any of these horrific, potential weapons to use AGAINST American people. That false claim was made solely by the promoter and by her affiliate in the hoax. The original power point slide show presentation was written by Dennis M. Bushnell, Chief NASA Scientist at NASA’s Langley Research Center in Langley, Virginia. Bushnell had been asked to speak at an upcoming CONVENTION attended by thousands of representatives of military contractors. The convention was hosted by the National Defense Industrial Association (NDIA), a trade association for American military contractors. The title of the Bushnell’s presentation at the upcoming convention was “FUTURE Strategic Issues/FUTURE Warfare (CIRCA 2025)”. Thus, Bushnell’s power point slide show presentation reflected what he THEORETICALLY believed could be POTENTIAL, FUTURE, HIGH-TECH WEAPONS THAT OTHER NATIONS COULD POTENTIALLY DEVELOP FOR USE AGAINST THE AMERICAN PEOPLE BY THE YEAR 2025 (then, 24 years into the future). Bushnell created the subject power point slide show presentation AS A “VISUAL AID” FOR HIS ORAL PRESENTATION that he was to give in person at the upcoming convention. Bushnell first published his original power point slide show presentation TO THE PUBLIC on the “US Department of Defense’s Defense Technical INFORMATION CENTER [its REAL name]” website in July 2001, a month BEFORE the convention at which he was to speak on the subject. (So much for the “secret” or “leaked” document story.). Bushnell actually gave his power point slide show presentation on August 14th, 2001 at the “4th Annual Testing and Training FOR READINESS Symposium and Exhibition [its REAL name]” organized by the National Defense Industry Association (NDIA) which was held a the Rosen Centre Hotel (then, the OMNI Rosen Hotel) in Orlando, Florida. Thousands of representatives from defense contractors were present at the convention/symposium/exposition. The theme of the convention/symposium/exposition was “EMERGING CHALLENGES AND OPPORTUNITIES [its REAL name]”. The purpose of Bushnell’s presentation was TO ENCOURAGE THOSE THOUSANDS OF REPRESENTATIVES OF THE AMERICAN MILITARY CONTRACTORS IN ATTENDANCE DO DEVELOP COUNTERMEASURES TO USE AGAINST THEORETICAL, POTENTIAL, FUTURE, HIGH-TECH WEAPONS that the American people potentially might face by the year 2025 (AS DEPICTED IN BUSHNELL’S POWER POINT SLIDE SHOW PRESENTATION). It is her “MODIFIED” version of the PDF version of this very power point slide show presentation that the promoter calls the “NASA War Document”. PDF metadata of the promoter’s “MODIFIED” version of the subject document indicates that it was “created” on “March 27, 2011 (10 years AFTER Bushnell’s presentation), that it was created by the promoter’s affiliate and that it was “LAST MODIFIED” (means last “altered” or “revised”) on January 23, 2013 (12 years after Bushnell’s presentation). This “MODIFICATION” of the promoter’s version of the document may have been benign (“harmless” or “innocent”) or it may been done to make the promoter’s version of this document better fit the narrative she was peddling (“NASA is killing us all with horrific, high-tech weapons.”). Other investigators have commented that the NASA logo that appears on every page of the promoter’s MODIFIED version of the document s is pixilated and of poor quality, something that would be unlikely If NASA itself had duplicated its logo prominently on every page of the original document. Only the promoter and her affiliate would know the truth about why her version of the subject document was “LAST MODIFIED” on January 23, 2013 and what those “MODIFICATIONS” really were. Archive.org reflects that Bushnell’s original power point slide presentation was posted in the “PUBLIC DOMAIN” FOR THE PUBLIC TO SEE on the “US Department of Defense’s Defense Technical INFORMATION CENTER website [its REAL name]” (So much for the “secret” document story.). Archive.org indicates that the subject original document was not posted anywhere else on the web. The promoter would have had good reason for misleading the America people about the true source of the subject document. If she truthfully admitted that the subject document was downloaded from the website of the “US Department of DEFENSE’S DEFENSE Technical INFORMATION CENTER”, then the subject document would not appear to be either “secret” or nefarious (both of which are necessary to create the illusion a “conspiracy”) and such would have destroyed the illusion of a “conspiracy” (because the government does not usually post written proof of its own conspiracies against its own people on ITS OWN PUBLIC “INFORMATION CENTER” WEBSITES). CONCLUSION: Thus, contrary to the promoter’s claims, THE “NASA WAR DOCUMENT” DOES NOT REFLECT AN EFFORT ON THE PART OF NASA (OR THE UNITED STATES GOVERNMENT) TO KILL ALL OF THE AMERICAN PEOPLE WITH HORRIFIC, FUTURISTIC, HIGH-TECH WEAPONS. To the contrary, the “NASA WAR DOCUMENT” actually reflects an effort on the part of a single NASA scientist (and hundreds of American military contractors) TO PROTECT THE AMERICAN PEOPLE FROM POTENTIAL, THEORETICAL, FUTURE, HIGH-TECH WEAPONS (exactly backwards to what the promoter claims). NDIA CONFERENCE PROCEEDINGS BY YEAR showing the RECORD of the “4th Annual Testing and Training For Readiness Symposium & Exhibition: Emerging Challenges, Opportunities and Requirements, 13-16 August 2001″ (SCROLL DOWN TO YEAR 2001, GO TO 5th ITEM DOWN, SEE THE ENTRY DATED 13-16 2001.). THE “SILENT WEAPONS FOR QUIET WARS HOAX” & “THE REPORT FROM IRON MOUNTAIN HOAX” !!!!!!!!!!!!!!!!!!!!!!!!!!!!!!!!!!!!!!!!!!!!!!!!!!!!!! CLASS’ CO-CONSPIRATORS CAUGHT ON TAPE WHILE ACTUALLY ENGAGED IN THE “JUDGE DALE HOAX”. (Jeff Rense is NOT involved in the hoax.). (Do not click on blue numbers below. They link to the wrong video. This same promoter and her co-conspirator are also behind the “NASA War Document Hoax”. Rodney “DALE” Class’ partner (and co-conspirator) in the “Judge DALE Hoax” and several other Rod Class hoaxes is a well-known, PROFESSIONAL CHARLATAN AND HOAXER. She does nothing but create, manufacture and publish online hoaxes. She has long engaged in a pattern of FORGING FAKE, COUNTERFEIT documents and FRAUDULENTLY attributing those FORGERIES to others (like the federal government or its agencies). When not FORGING her own FAKE, COUTERFEIT documents for that purpose, she takes documents written by others THAT SHE KNOWS TO BE POLITICAL “FICTION” and FRAUDULENTLY tells her unsophisticated followers that they are REAL documents written by “GOVERNMENT INSIDERS” who are “IN THE KNOW”. All of this woman’s fraudulent claims in all of her hoaxes are intended to incite hatred and violence against the ELECTED representatives of “We the People” and our Republican form of government. This woman is behind ALL THREE of the “Judge ‘DALE’ forgeries” (all of which she co-wrote with amateur legal theorist, Rodney “DALE” Class), including “The Matrix And The US Constitution” (2010), The Great American Adventure: Secrets of America” (2012) & “Lawfully Yours” (2014), the “Judge DALE Hoax” (with Rod Class), the “All Government Agencies Are ‘Private Entities’ [or ‘Private Contractors’] Hoax” (with Rod Class), the “Property Into Other Names Hoax” (with Rod Class), the “Court Registry Investment System Hoax” (with Rod Class), the “Federal Government Is A Private, For-Profit Corporation Hoax” (with Rod Class), the “B.A.R. Card Hoax” (with Rod Class), the “‘Esquire’ Is AN INHEREITED TITLE For Those Born Of NOBLE BLOOD Hoax” (with Rod Class), the “British Accreditation Registry Hoax [B.A.R. Hoax]” (with Rod Class), the “NASA War Document Hoax”, the “Silent Weapons For Quiet Wars Hoax”, the “Report From Iron Mountain Hoax”, the “FAKE Jim Traficant Speech Hoax” and numerous other hoaxes, all of which she uses to INTENTIONALLY DEFRAUD the American people. Rod Class is a functionally-illiterate amateur legal theorist with barely a high school education WHO HAS LOST EVERY SINGLE CASE IN WHICH HE HAS EVER BEEN INVOLVED (OVER 73 CONSECUTIVE LOSSES IN A ROW, AND STILL COUNTING). Further, Class has a long history of PSYCHIATRIC PROBLEMS involving DELUSIONS, PATHOLOGICAL OPPOSITION/DEFIANCE of AUTHORITY FIGURES and PATHOLOGICAL LYING. Moreover, Class is a MULTI-CONVICTED, WEAPONS RELATED, CONVICTED FELON who also has SEVERAL ADDITIONAL MISDEMEANOR CONVICTIONS, as well. Because of Class’ well-publicized HATRED of our ELECTED representatives, their appointees and our REPUBLICAN form of government, because of his HISTORY OF PSYCHIATRIC PROBLEMS and because of his LENGTHY CRIMINAL HISTORY involving DEADLY WEAPONS, Class has been placed on the United States TERRORIST WATCH LIST. Most importantly, Class is a PROFESSIONAL HOAXER AND CHARLATAN who is behind a number of legal HOAXES which he created and peddles to INTENTIONALLY DEFRAUD the American people. (Google “Judge DALE Hoax”, “Debra Jones Hoax”, “Private Attorney General Hoax”, “14th Amendment, Section 4 Bounty Hunter Hoax”, “FOURTH Administrative Ruling Hoax”, “Property Into Other Peoples’ Names Hoax”, “Lawyers Have No Authority Hoax”, “Right To Travel Hoax”, “My Paperwork Would Have Overturned Every Prior Case Hoax”, “The Supreme Court Loves My Paperwork Hoax”, “The Private Attorney General ‘Certificate’ Hoax” (A.K.A. “Why Was Rod Class In Washington, D.C. In The First Place?”), “The Federal Reserve Notes Are Not Money Hoax” (A.K.A. “The Harold Stanley Hoax”), “The Federal Government Is A Private, For Profit Corporation Hoax” and numerous other hoaxes.). Snoop4truth is a legal expert and whistle blower who exposes online hoaxes. Snoop4truth did not reveal this hoax to harm Rod Class or his partner in the “Judge DALE Hoax”. Instead, Snoop4truth exposed this hoax solely to reduce the catastrophic damage that such intentional fraud inflicts upon the American people every single day. Had it not been for Rod Class’ role (and his partner’s role) in the “Judge DALE Hoax”, Snoop4truth would not have exposed this hoax here. Are you aware of the InPowerMovement.com? I watched the first in the series, and i have to say I am very impressed. How did you find out about this movement? This is truley excellent material from what I can see. Please write us back to let us now more? Deborah, you have mentioned in your Granada Forum interview a video “Madness In the Fast Lane”. But when I go to YouTube, there are many videos with this title. Can you please tell me which specific “Madness In the Fast Lane” video you would like us TIs to watch. Thanks! God bless!